We need you guys back….pretty please? This weekend was busy and I was just now able to catch up on the game against Florida. It’s a little frustrating to see the whole “blow a two goal lead late in a game especially against Florida” thing pop back up but at the end of a five game home-stand against some really good teams, you had to expect a little bit of a let down. The encouraging thing about it was that Detroit was in the lead for a large portion of the game and the second period and most of the third was magnificent. Let’s jump in it! Babcock, as well as pretty much everyone who has watched the Wings play the last few weeks, absolutely loves the way the “kid” line has been playing. Sheahan, Jurco and Tatar have developed quite a good bit of chemistry and are playing very well every single game. 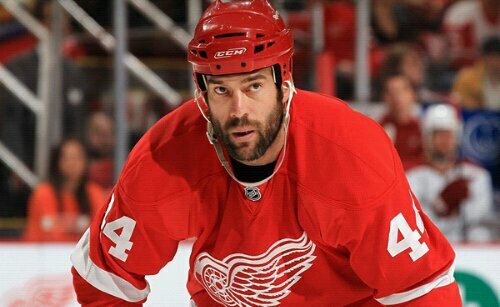 Sheahan has proven that he belongs in the NHL and has been a two way force for much of his time up. Tatar is really showing what he can do. Good Lord is this kid fun to watch. He’s like a freakin’ bulldog out there, absolutely nasty on the puck and I really don’t think I’ve seen him take a shift off all year. Jurco shows flashes of brilliance but isn’t quite “there”. However, he’s played a very steady game and, while still learning, is proving his value to this club presently, not down the line. He’s played very physical and just needs to learn how to translate his offensive genius to this level of play. It’s there, just waiting to be released. These kids, along with Luke Glendening playing very steadily, have played so well that it’s forced Babcock to sit guys like Bertuzzi and Cleary (who was actually back in the Florida game because of Zetterberg being a late scratch.) It will be interesting to see what the team does here in the next few days with its roster. 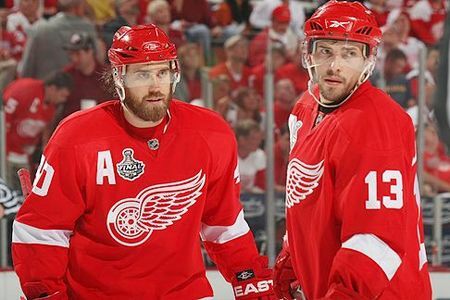 Bertuzzi and Cleary both have NTCs and are unlikely to waive them to be moved, but Babcock has made it clear that he wants to play the best players and right now, that means Tatar, Sheahan and Jurco > Bertuzzi, Cleary, Samuelsson. Still no update on Datsyuk but you have to figure he’s getting closer and closer. Hopefully he’ll be back in the next game or so. Andersson could be ready on Tuesday in Philadelphia, which could force Holland’s hand early on making some roster moves. Goalie Petr Mrazek was sent back to Grand Rapids as Detroit activated Jimmy Howard from IR who is ready to start or back up in Philly. Mrazek will get good starting time in Grand Rapids as the kid has proven he’s capable of being an NHL goalie and looks set to be the back up next year. Gustav Nyquist was named the NHL’s second star this week, scoring 6 points (4-2-6) in 4 games with Detroit going 2-1-1 over that span. I don’t….I don’t understand what’s happening here.